Narrative: Unattended cooking caused food to burn in the oven and fill the apartment with smoke. Crews ventilated the apartment and confirmed there was no fire extension. Narrative: Firefighters responded to a reported acetylene tank fire. The first arriving engine company found a mobile welding cart tank being operated outdoors had caught fire. Crews applied water to cool an oxygen tank that was also mounted to the cart, established a safety explosion perimeter, and hazardous materials technicians monitored the air for vapor hazards. Once the scene was secure, and entry team closed the valve on the tank and confirmed it was not leaking. The fire appeared to start from a faulty regulator on the acetylene tank. Address: 3416 E. “K” St. Narrative: Firefighters responded to a reported kitchen fire. The first arriving engine company found smoke showing from the front door of the single story house. Upon further investigation, crews determined that frying pans left inside the oven caught fire when it was heating up, causing smoke to fill the residence. The fire was contained to the oven. 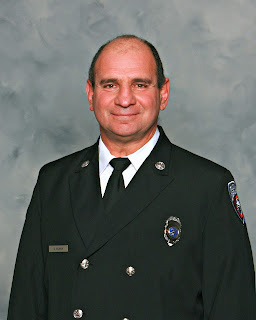 On-duty Firefighter Albert A. Nejmeh, a 12-year veteran of the Tacoma Fire Department, died shortly before noon today at St. Joseph Medical Center after suffering an apparent heart attack this morning while working at the scene of an emergency medical incident. 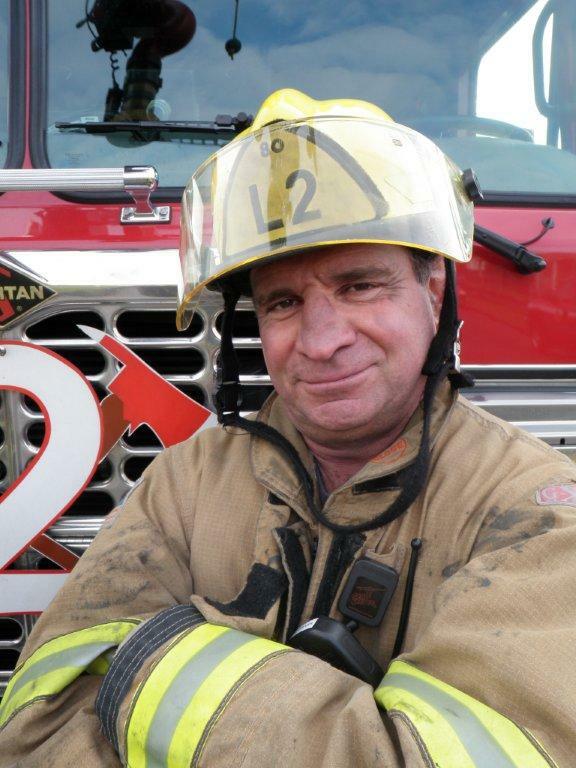 After Firefighter Nejmeh collapsed, he received immediate basic and advanced life support from his fellow firefighters, who then transported him to the hospital. The Fire Department would like to thank the physicians, nurses and staff at the St. Joseph Medical Center’s emergency department and catheter lab who worked valiantly to save Nejmeh’s life. Details regarding the memorial service will be announced at a later date. Address: 6612 S. Monroe St. Narrative: Firefighters responded to a prohibited outdoor burn of wooden furniture. Narrative: Firefighters responded to a reported oven fire. The fire was extinguished by the resident prior to crews arrival. Firefighters ventilated the moderate layer of smoke from the first floor of the residence and confirmed there was no fire extension. Narrative: Firefighters responded to a prohibited outdoor burn. Narrative: Crews responded to a reported kitchen fire and upon arrival found the occupant had burnt food on the stove top. Firefighters confirmed that there was no fire extension and assisted with smoke removal. Narrative: Firefighters responded to a possible car fire. Upon investigation they found smoke coming from an electrical junction box. They disconnected the battery and confirmed there was no fire extension. Narrative: Firefighters responded to a reported dumpster fire. The first arriving company found a dumpster containing construction debris was fully involved with fire. Crews used water and class A foam to extinguish the fire and the damage was limited to the dumpster. Narrative: Firefighters put out a grass fire ignited by fireworks. Narrative: Firefighters responded to a reported fire in the engine compartment of a motor vehicle (van). The first arriving engine company found the van was fully engulfed in flames. Crews extinguished the fire and there were no injuries to report. Narrative: Firefighters extinguished a dumpster fire. The fire was contained to the dumpster. Narrative: Firefighters extinguished a smoldering bark fire. Address: 5311 S. Orchard St. Narrative: Firefighters responded to a reported apartment fire. The first arriving company found smoke coming out of a roof vent. Crews forced entry into the apartment and found food left on the stove had caused the smoke. Firefighters confirmed there was no fire extension and ventilated the apartment. Narrative: Firefighters extinguished a prohibited outdoor burn near a small homeless camp. Narrative: Firefighters provided assistance to CPFR for a fire in an industrial laundry facility. Narrative: Firefighters extinguished a small bark fire in CPFR’s district. Address: 5210 E “F” St. Narrative: Firefighters responded to a reported house fire. The first arriving engine company found smoke and flames showing from the attached garage of the 1,880 square foot 2 story residence. Crews attacked the fire with handlines, conducted a search to confirm no one was trapped inside and ventilated the smoke from the building. A fire investigator determined that an overloaded extension cord plugged into a light weight power strip failed and ignited the blaze. The fire displaced 8 occupants and there were no injuries to report. Narrative: Firefighters responded to a small outdoor fire. A fire had started in some debris and spread to a cedar fence. It was undetermined what had started the fire. Address: 6th Ave/N. Oakes St. Narrative: Firefighters extinguished a small smoldering bark fire. Address: 906 N. 9th St. Narrative: Firefighters extinguished a fire in an 8 foot tall shrub. Narrative: Firefighters responded to a pan on the stove fire with no fire extension in CPFR’s district. Narrative: Firefighters responded to a reported fire in a nursing home. Upon investigation, crews determined that an employee had placed a cup of coffee in the microwave not knowing that it was lined with stainless steel. The arching caused the plastic on the outside of the cup to burn and send light smoke throughout a section of the building. The fire was contained to the microwave. Narrative: Firefighters responded to a prohibited burn of yard waste in a burn barrel. Narrative: Firefighters responded to a reported garage fire. The first arriving engine company found flames and smoke showing from the two car detached garage. Crews attacked the fire and protected the adjacent garages exposed to the fire. The fire damaged the structure, a vehicle inside and additional contents. There were no injuries to report. A fire investigator determined that an electrical malfunction at a light switch appears to have started the fire.